Last weekend I was very sick, thank goodness I had done the grocery shopping before I was down and out. Billy was a little lost on what to eat! But lucky for him I had picked up some great local products such as Criminelli Prosciutto Cotto Ham, they are a new local purveyor of pork products and you can find them at Tony Caputo’s. This sandwich is also highlighting Beehive Full Moon Cheese, you can find them at the Farmers Market during the summer and the rest of the year you can find them at Tony Caputo’s, Liberty Heights Fresh, Harmon’s, and Whole Foods. 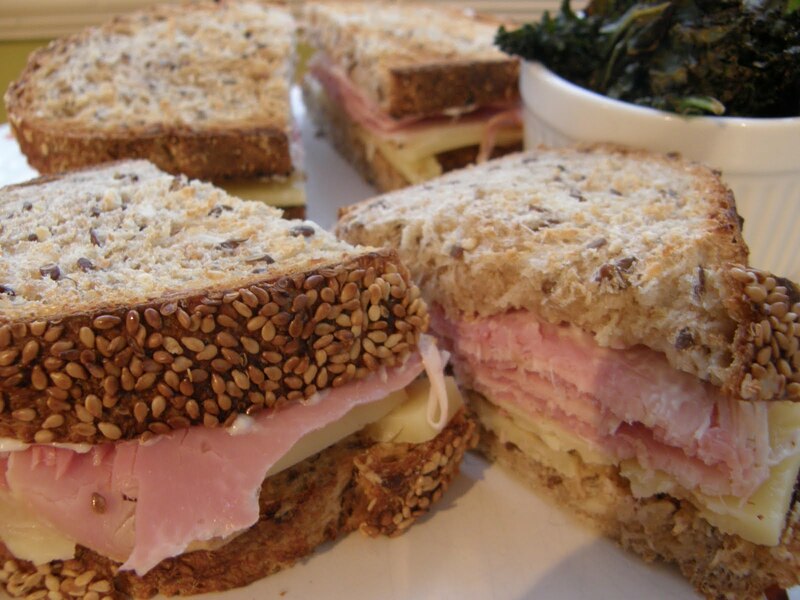 The whole sandwich is held together with Great Harvest Sourdough Multigrain Bread. I have never seen Billy eat a sandwich so slow, he savored every little bite and said this is the best sandwich he has ever had! Yeah for our local hard working food artisan’s they took my place and saved my sweetie from starvation.